I'm obsessed with denim, call it the classic blue or even silver I own most of them. As versatile as T-shirt, denim is another trend that will never ever vanish based on my opinion. 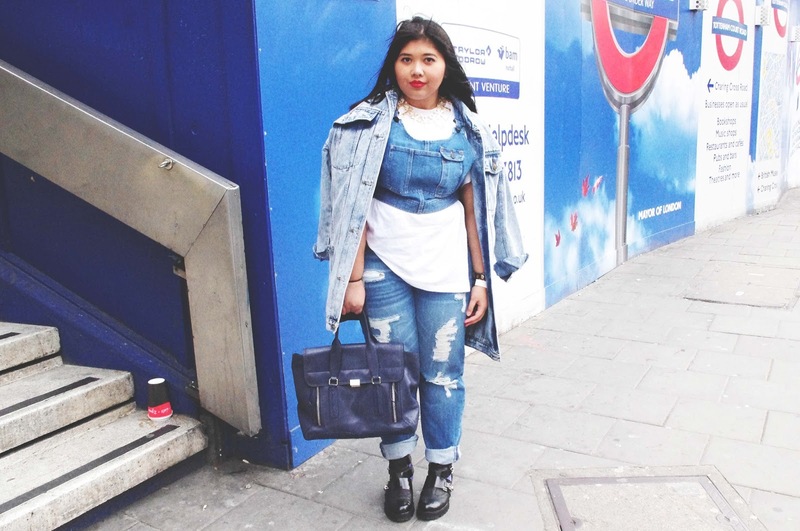 I invest in a good pair of denim and with an edgy cut; boring blue denim is a big nay for me. Exaggeratedly probably my entire denim collection could even fit in a one IKEA wardrobe, that’s the frustrating part right there. Happen to purchase this cut out dungaree and T-shirt from River Island x Rihanna collection, well honestly I have zero interest on its entire collection but where else I could find a cute cut out dungaree on my size? There goes my credit card bills, you won this time River Island! This entry was posted on Thursday, 28 March 2013. You can follow any responses to this entry through the RSS 2.0. You can Comment. seriously girl, your style is the next big thing! Im outta word. You're awesome. Bye! You have an unic style! It's amazing girl! love the crazy mix and match! it works perfectly on you! keren banget nis !! i love your denim style , really really love your top ! 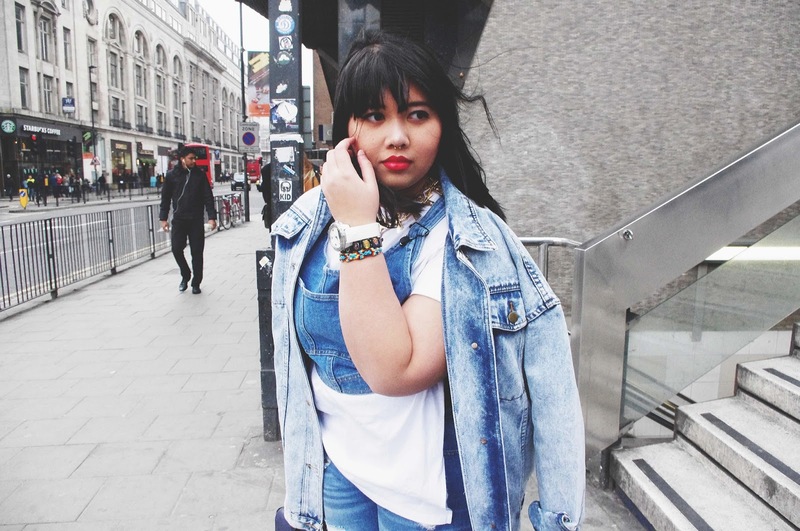 love this denim jacket and also your blog! It's so nice!!! I follow you! 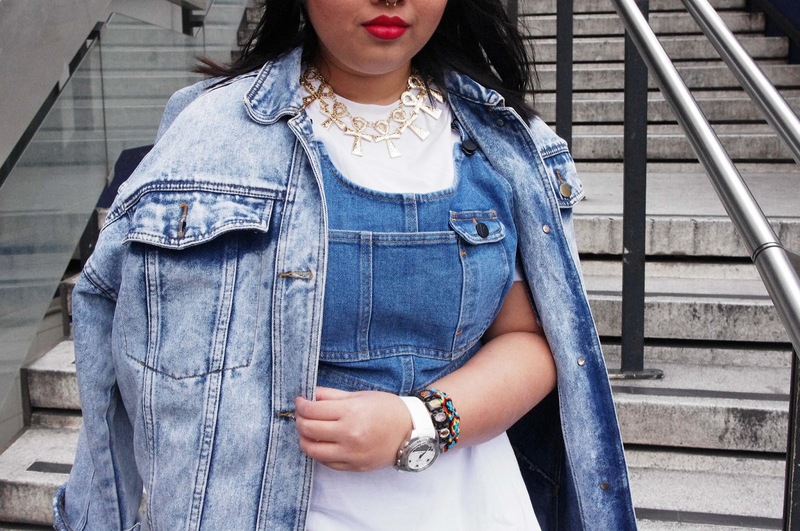 Denim on Denim is amazing! YOU LOOK STAND OUT <3 COOL. what an unique style! you are so cool! Keren outfitnya. 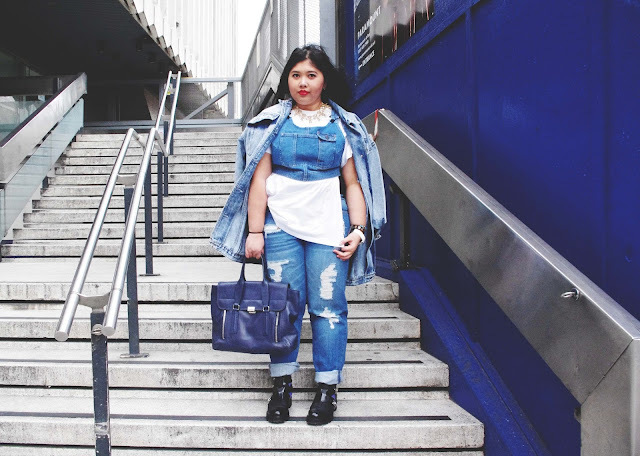 With all those touch of denim, you look gorgeous. I am amazed by everything you do. nice denim on denim looks! you look so great! OH MY GOOOOD...this is an amazing look. Really fantastic styling. 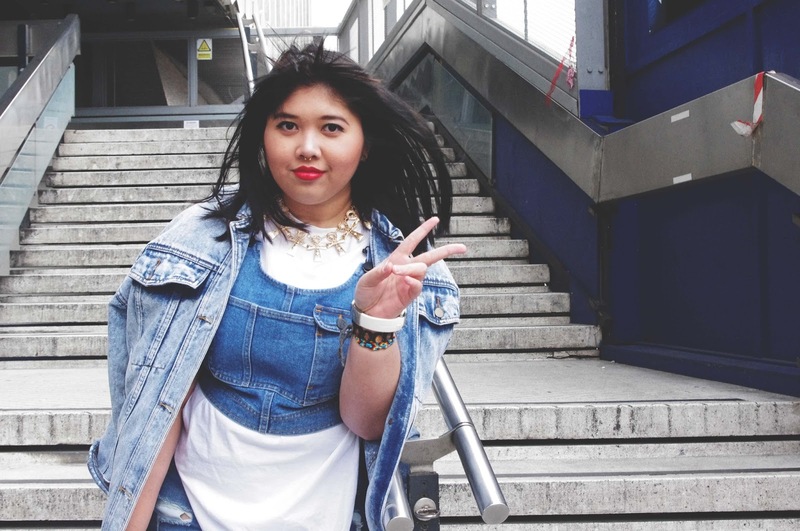 That's such a cool dungaree,nis! Plus those biker boots make the look even more "kece" hihi. Btw iya barang di sana itu sizenya kecil-kecil bgt. Aku aja kalo beli jadinya ambil ukuran L padahal biasanya M haha. 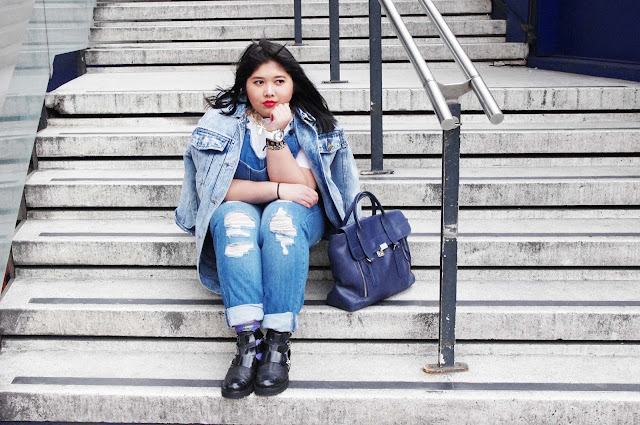 I totally feel you on the denim! Forever a trend, forever in fashion! Like holy crap I love this look!